Shopify helps you to design your own personalized online store with the help of specific templates and custom Shopify themes. It’s resourceful built-in website optimizer helps your store to rank better in search engine results. Our experts put in their best efforts to provide efficient customization features. We design interactive Shopify powered web portals which are compatible to all devices and platforms. We enable you with features that support in managing product inventory and boost business sales conversions. We develop websites powered by Shopify that are optimized for all types of layouts and screen resolutions. With the growing number of customers shopping on their mobile phones, we also develop lightweight and robust mobile compatible websites for better user experience. We offer the best layouts and additional features to beautify and simplify your website for enhancing user experience. Our team personalizes the web pages in a way that users are engaged to it for a longer duration. We make the process of buying and selling quick and effortless by optimizing websites in an agile methodology. Our extensive efforts in developing an in-depth analytics process assists you in gaining better insights for your website. Shopify is a platform that enables fast, responsive and reliable website development. 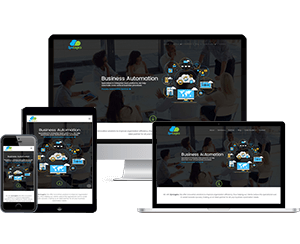 It creates robust and dynamic websites with its scalable Saas hosting and also reduces IT and labor expenses. Our team works in sync to materialize customized websites in a matter of few days. We provide state-of-the-art designs for Shopify themes and Shopify custom theme development. Our experts perfectly put together the look of the website using apt colors, suitable layout and pay special attention to functionality. API's help in integrating and interchanging information for online businesses. This contributes to effective data intertwine for easier functionality. By integrating Shopify API solutions, we enable you to save time on your tasks, reduce data duplication issues and improve user interface. Shopify enlists an array of apps, integrations and custom tools to suit your business requirements. We help you in building solutions from sign in to customer checkout with adaptive APIs and SDKs. Our team's aim is to make you experience an admin and user friendly website. Your online store can be integrated to social media platforms through simple social media buttons, embedding Twitter, Facebook and Instagram feed in your online store and by verifying your domain with third party services. We help you in getting your users on-board effortlessly and increase your online presence by keeping them engaged. 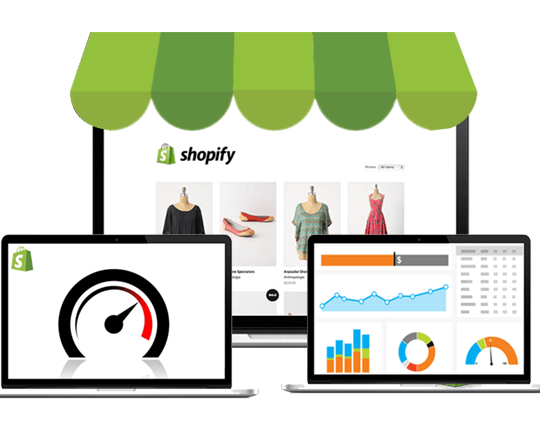 Shopify helps in analyzing and reporting your website data for optimizing web usage. Through the analytic reports you get an insight into your website's sales trends, orders and products. You will also be able to understand how long a customer stays on your website through smart analytic reports.